It's a glitch where you need to use the teleporters towards the end of the game and they all have the same glitch! I finally played some more tonight! (I was distracted by Undertale, which I'm still not done with, but should be later this week.) I'm certainly glad that I can just use party chat to figure out where I was and what I was doing. Turns out I'm juuuuuuuust about to unlock the AllTrades Abbey (finally). As I was going through the dungeon, I found several Seeds of Whatever, and that reminded me that, so far, all I've done is to hoard them. What is everyone's strategy regarding their usage? Give them all to the MC? Or do you try to spread them across all the characters? I pile them all on the MC from the start of the game. He's the only consistent member of your party (AFAIK). Hoarding them seems like a waste, especially early on when they make a significant difference to your stats. Plus, if you break all the pots etc they come thick and fast. I've played about an hour more of the game yesterday, and I finally completely unlocked the AllTrades Abbey. I now understand why everybody was complaining about that section being too long! To get there, there are two or three dungeons, lots of cutscenes and people to talk to, plus the usual JRPG battle arena that you have to win! None of it is very hard, mind you, but still, it takes forever. I've decided to try the English version of the game, but our local gamestops are all out at the moment. I've ordered it from their site via snail mail, so I'll have it in hand in 5-14 days. I'm in the middle of All Trades myself. Really need to post about all the differences PS1 vs 3DS, there are many. Lots of tweaking to the balance. I should mention, those stat boosts are random, 1-4 for STR/WIS/RES, 1-6 for MP/HP I think. So it's well worth saving before you use one and making sure you don't get a 1 or 2 at least. The $20 sale literally ended just yesterday. It was $21 used on GameStop, shipping included. I prefer having the cart, and I like waiting for things in the mail too. 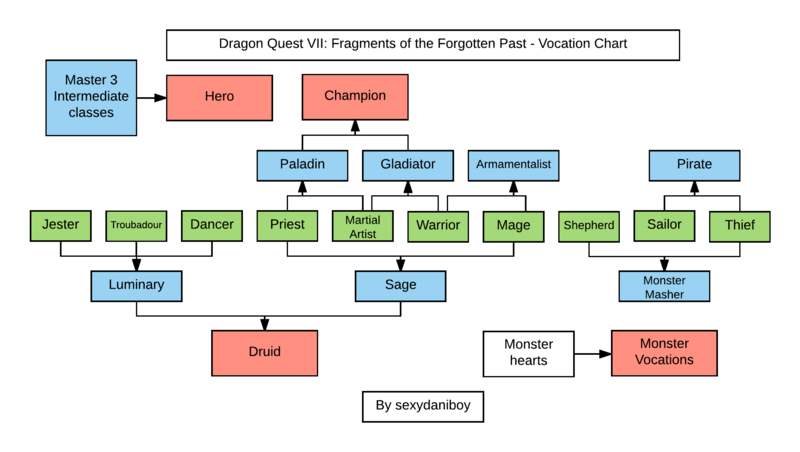 I remember an issue in one of the DQ games -- VI, maybe? -- where using seeds ended up screwing you over. It went something like this: stats gained during any individual level-up were random, but each character had a range, by level, of the stats they should have. So if you got unlucky with strength over several levels, the game would compensate by giving you more strength in a future level. This worked in reverse, too. So, if you used a lot of seeds, you would be outside the acceptable range for a stat, and the game would depress future stat gains. To deal with this, I think some people saved the seeds up for the very end. That's interesting! Well I'll see how it pans out. For the time being, the MC is ridiculously buff and Ruff and Madeline are holding their own fine. I'm impressed you've started the game over after being 80% finished with it. I'd have abandoned it at that point. Cross-post from the main thread: nominations for our Q1 2019 game begin tomorrow. I just beat Gracos and was shocked by how easy he was. I guess I might have let my daughter level a bit too much. Now I have three options for what to do next, and I think this might be the first time that there isn't one and only one path forward. I had a really difficult time with the French accents in La Bravoure. I don't have trouble with French accents in real life, and I don't typically have trouble with dialect in writing, but for whatever reason, this game's take on a French accent was really tough to parse. The "accents" are one of the few changes from the PS1 version that I object to. Presumably they are trying to localise the different dialects used in the Japanese version but this is not the right way. These dialects are real spoken dialects that most Japanese people can understand or at least have been exposed to. They are not mishmashes of random languages. And doesn't this make the game much less accessible to younger players? Mr GT Chris, have you played any of the other English re-releases on DS or 3DS? Or the modern releases in English? The dialects are a thing they’ve been doing for a while now. I don’t know what local dialects are captured in the Japanese versions, but there’s an effort to make this town be French, that town be Spanish, etc. for an English audience. The old Nintendo releases were not like this at all, but tended to go for a sort of Ye Olde Englishe. I remember it was super weird to me when I played DQ IV on the DS and Princess Alena was now a Russian-esque Tsarevna, all of a sudden. I've played DQ8 (PS2), DQ5 (DS), and DQ9 (DS) but the last was in Japanese. I agree with you that variations of English are more appropriate than this language mishmash. I'm kind of glad I can just skip most of the dialog this play through. On that note, I just bear Gracos myself, yes, ridiculously easy compared to on PS1. In fact, the whole game is a lot easier generally and not just due to the quality of life improvements. On PS1, the hero always seemed way more effective than your other party members. Ruff, in particular, was pretty much dead weight. But, on the 3DS, everyone holds their own. An interesting cultural tweak, an event where a tsunami previously occurred has been modified for the 3DS version. My game has arrived from Gamestop! Game on! Wow, that's neat! I was just blindly choosing vocations. I've mastered Monster Masher, Gladiator and Sage so far. Think I'll go for Druid, that sounds cool. Maribel still needs Jester and Troubadour though. Can't believe that after doing all the odds and ends following Gracos, I had 9 shards in my bag. In the end though, that only unlocked 2 new islands. Still, the first time to have a choice I think. Back to a full party as well. I started in with the English version last night and worked my way through the part I did in the Japanese version earlier. Only about 20-30 minutes, to the first save point, but it's a start! 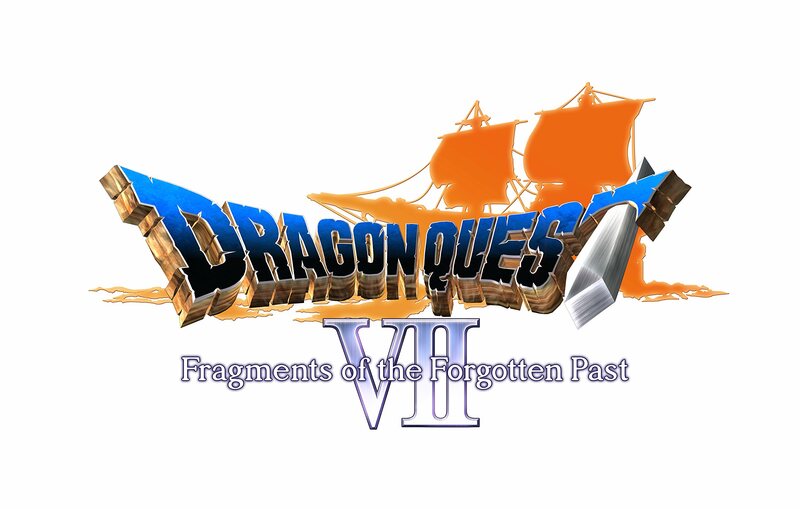 I'm back in, too: after a false start or two earlier in this thread, and after recently finishing two other DS games from my backlog (Legend of Zelda: Spirit Tracks and Age of Empires: Mythologies), I've decided it's time to finish DQ VII. It's an easy game to play in chunks on my commute. I'm in Aeolus Vale, which is pretty far. I think it's the next major location after the portion of the game that Clocky and Mr GT Chris are playing right now. I actually really liked the spot where you guys are now. For a game with a large world, so much of it is linear, and it was nice to have some choice about what part to tackle next. Thanks for posting that chart, ClockworkHouse! I don't know how you guys manage to get that much progress so quickly. I don't know how Mr GT Chris does it. I've been playing on and off since the beginning of October and he's already caught up with where I am. I'm still in the desert, and apparently I have not managed to trigger the next story beat, because I go to the bank of the Nihil, and nothing happens. I had the same thing happen to me. I ended up looking at a walkthrough, and there was a story event that was supposed to trigger that just... didn't. Thankfully, you can skip over it. Show your fancy new seal to the guy next to the giant urn in the village. He'll have a vision that the thing you're seeking isn't in the same time that you're in. Jump back to the present and go to the Dig Site; if you warp to Emberdale and then head southwest from there, you'll find it. For my part, I kind of cheated. I played a good chunk of the game last year, stopped for some reason (probably a work thing), and then had my heart taken by a bunch of charming thieves. Awesome, thanks! I will try that either tonight when I get back from the gym or tomorrow! AI can now use items in combat. This shines during part of the game where you get a stone that you have to use for healing while you don't have access to spells. But it's only usable in combat and doing that manually every round on the PS1 is extremely tedious. Later you get weapons that can be used as items. If you leave these in your character's inventory, they will use them when appropriate, even if not actually equipped. Costumes, yay! Having the hero wear that tacky green hoodie for the entirety of the game is not good. And I really missed having equipped armour visible as per DQ9. However, I was relieved to find out that when you change classes, your character's outfit changes to reflect that class. They're hit and miss but way better than being stuck with the same costume the whole game. Viewable encounters! As opposed to random battles on PS1. I thought this would be all good and it is great on the world map. However, dungeon corridors are often so narrow that you can't avoid them anyway. Also, unlike having some algorithmically determined delay between random encounters on PS1, in 3DS they'll sometimes immediately spawn on top of you after finishing the previous encounter. So that's not perfect. Localisation of the script. I don't like what they did with the dialects as previously discussed. But the overall quality is much higher, less typos and plot points are easier to understand. Gorgeous. Designs are faithful to the original but everything just looks so much better. I was previously in love with the look of DQ9 on DS but this is outstanding. Performance is rock solid. Also inengine cutscenes. Even the PS1 cgi is looking pretty rough these days compared to the 3D in engine. The shard compass! This is almost a home run. On the PS1 you had to be extremely diligent to find the shards you needed to progress, visit every location multiple times, smash every pot, open every chest, talk to every npc. The compass makes it mostly a breeze. There is one gotcha though. The designers couldn't quite manage to be consistent with the implementation. There are times when you're in an area with a shard but the shard isn't obtainable at that point in the story, say due to a locked door or a recalcitrant npc. Some areas, the compass will still trigger. Other areas it won't. I found this frustrating a couple of times. Some might recall I complained about the slow start. Well, there's an hour of switch and box puzzles that were completely axed from the 3DS version. Good riddance! But they took it a little far by still leaving the "puzzle" with the 4 pieces of equipment. Basically you still have to run around to pick up the gear and then read an easy riddle that hints at which statue needs which piece of equipment. However, after the riddle, you're prompted "Put riddle answer on statue?". Why even leave that part in when they're going to just preselects the answer for you. That was a slight mis step. Way easier. Not in a bad way. I mean, it's a touch too easy but the PS1 version was too hard, especially considering the length of the game. One of the few changes I don't like is they made it harder to win at the casino. I feel like this is a pretty common issue in JRPGs where the odds at the casino are close to those in real life. Now where's the fun in that? However, in the PS1 version, they had a different version of the double or nothing mechanic that put the odds somewhat in the player's favour. On PS1 I was able to win 5000 credits to buy the dolphin shield (bottlenose shield on 3DS) just before Alltrades and that lasted me for ages. The 3DS version wins hands down. It takes a flawed game and turns it into one of the better DQ games I've played. Basically, bag up all those PS1 discs and dump them in the desert with the ET carts.